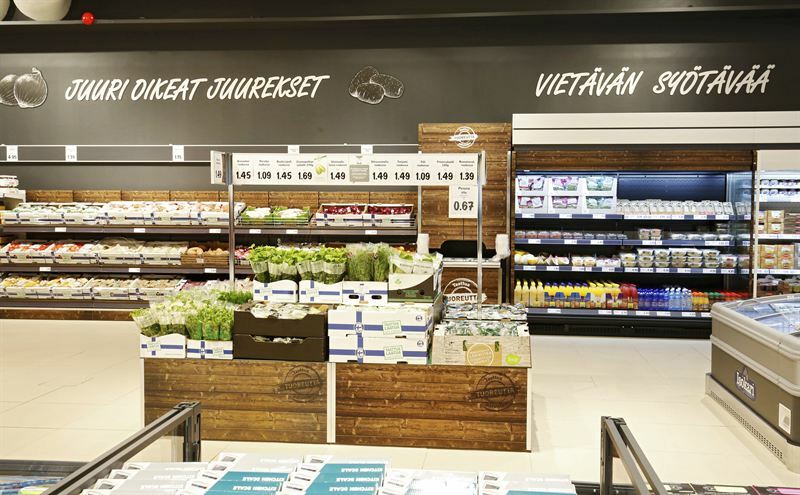 Lidl has presented its new store identity in Finland – switching colors from blue to grey, introducing wider corridors and re-located departments but also improved facilities for the staff. The new look from spring 2016 onwards is based on deep consumer surveys. ”People prefer to visit the grocery store without a feeling of congestion,” says Country Manager Lauri Sipponen . Stores in Loimaa, Ulvila and Helsinki has already got parts of the new look. 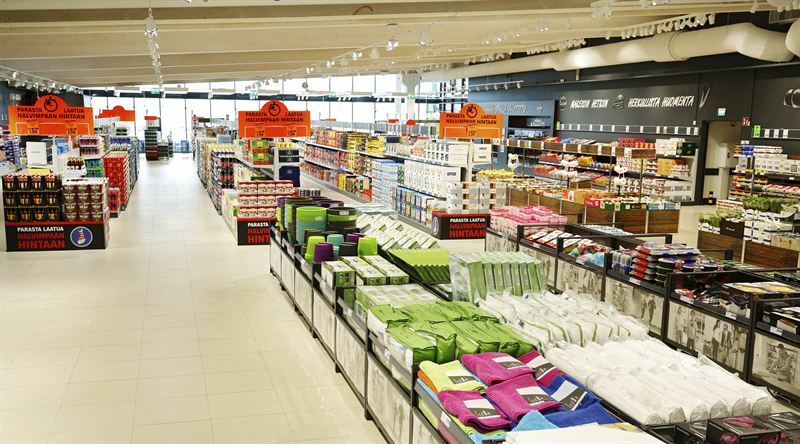 But the first store with a full new-look, and Lidl’s 150th store in Finland, opens this week in Muurame Centre. The update is a goodbye a decade old store design. Lidl describes the new stores as spacious and bright, with an elegant color scheme – ”peaceful Scandinavian coloring” – in gray. 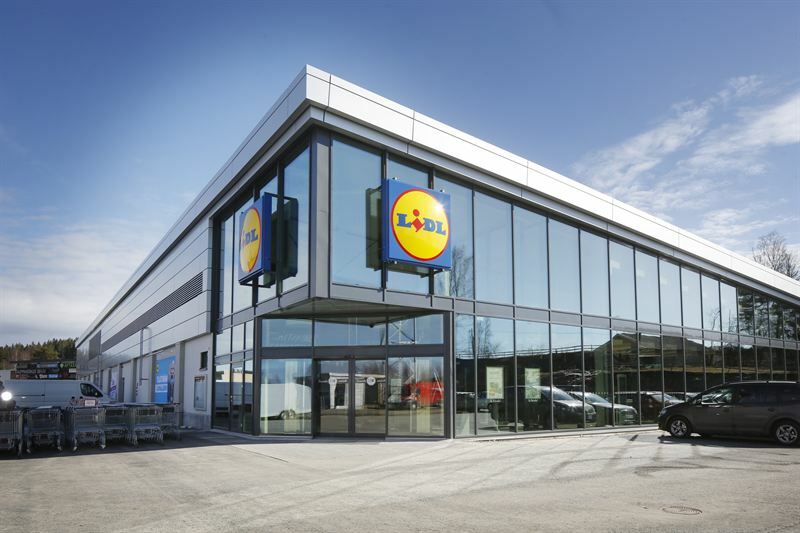 Lidl has taken into account the wishes of Finnish customers, among other things, regarding product placement and store interior design and space solutions. Lidl has studied domestic consumer habits when shopping through surveys and heat map studies. 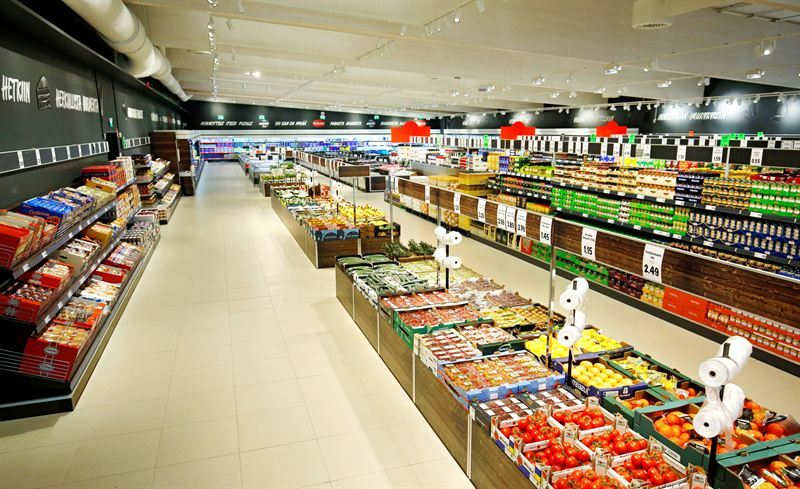 Among other things, fruits and vegetables, as well as bakery products will in the future be located in connection with the store’s entrance. ”We are an international company, but we always act locally. 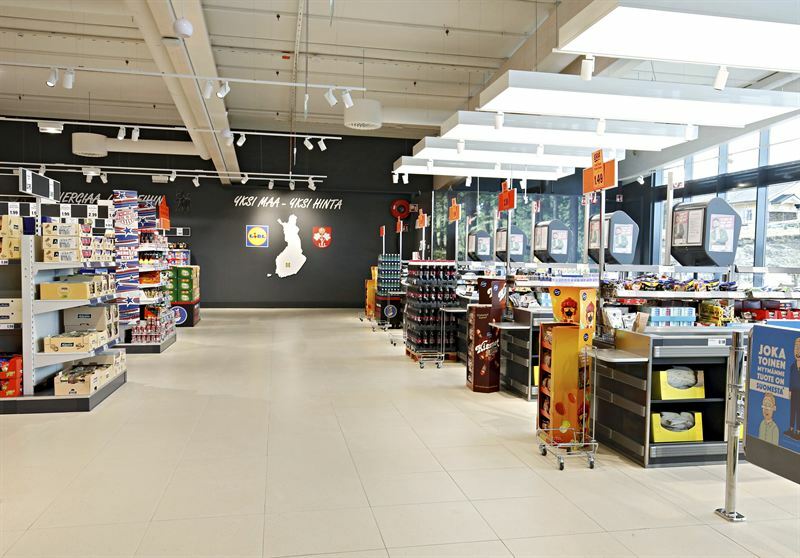 Grocery Stores can not launch a plan without analyzing the local customers, says Managing Director of Lidl Finland, Lauri Sipponen . Large glass wall surfaces and a raised roof let in plenty of natural light in the store, and widened corridors brings a feeling of simplicity and convenience. ”Retail trade is now aiming to speed up the visits and improve customer satisfaction. 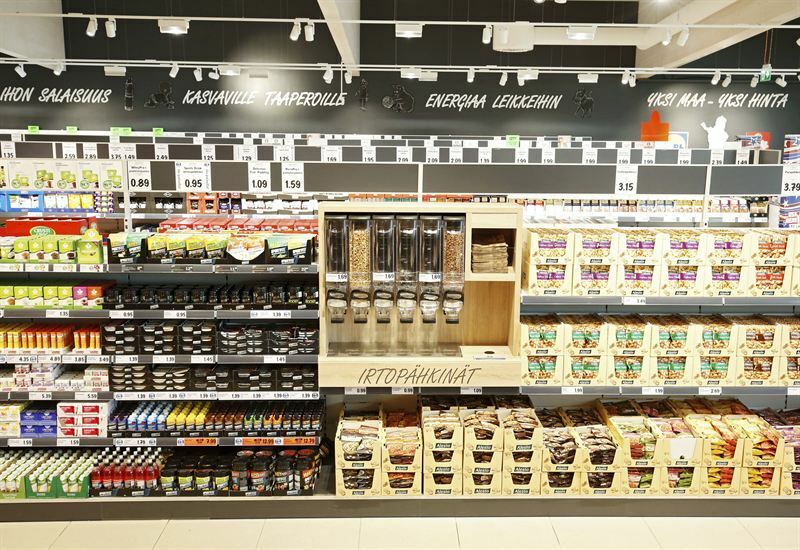 People prefer to visit the grocery store without a feeling of congestion,” says Lauri Sipponen . New are also signs above the product shelves with texts, images and logos to guide the search for products and blend with gray surfaces. ”The existing store network will be renovated and modernized, at least with regard to the interior during the next few years to reflect the new look of the store. This investment is done regionally in stages over the next couple of years. We will invest tens of millions of euros annually in the modernization of the old store network. A more detailed regional schedule is still being planned,” Sipponen says. The most visible improvement for customers is in addition to the wide corridors is a baby changing room with guest toilet. Background storage facilities will be expanded, particularly for frozen and cold storage capacity. On a second floor are improved administrational and social facilities for staff. ”We want to offer our customers and our employees more comfortable and functional facilities for work and shopping. Our customer numbers increase, these reforms are desirable and will allow us to keep products as well as customer service and marketing at a good level,” says Lauri Sipponen.